Many times as an amateur astronomer/astrophotographer you’re trying to locate good places with good seeing and local weather to accomodate your needs in astronomical observations. Many amateur astronomers have spotted favorite spots away from modern civilization’s disturbances such as lights, traffic, curious individuals that approach you with headlights in the middle of the night, such as dog owners, hunters, security guards, the local police force, etc. I’ve met all of these types of people in the middle of the night and believe me sometimes they scare you more than nature wildlife sounds might do. California is rich in wildlife, such as snakes, bears, mountain lions, etc. Animals however always want to keep their distance to your nightly activities and are less curious than human beings on what you’re working on during a photographic session. There are many stories I can tell you about these meetings, but this blog entry is more about loosing the beauty of nature that once was there protecting you from city and traffic light, dew, and temperatures. The devastating fires in my immediate close area last summer was different. I live with my family very close to California’s most aggressive fires that happened in this state’s history ever before. The so called Carr fires in Shasta county (including Hirz) then later on the Camp fire in Butte county where the most devastating wildfires that I’ve ever seen. Loosing forests so drastically, not to mention cities and home societies that were wiped out of the map is a weird feeling. You realize how vulnerable we all are against the climate changes and you literally end up loosing everything. At my job we all know someone, either close family relative or a family friend that has lost property and even family members. It feels as if we are in a war zone and you can’t do anything about it. Human lives, wild and domesticated animals, acres of both forest and farming land was lost in matter of a week from the moment those fires started. Insurance companies are now facing huge issues in trying to pay back all those incoming claims from their insurance policy members which effects everyone financially. Local businesses are lost and people end up moving (migrating) away from the areas. I saw people camping in parking lots and had nowhere to go and no family to take care of them. It was most noticeable this past November in 2018 when Thankgiving was around the corner when you realized how many people wouldn’t celebrate one of the biggest key holidays in US, freezing cold that night in their cars completely alone from the warm homes that once protected them. Everyone is making new year’s resolutions about gym, career, health, but I believe my new year’s resolution is to try and bring awareness to people about our nature changes and do my best to document and write more about the climate change and its effects on all of us. There’s a major disbelief that climate change is hoax, but you can’t simply ignore the fact that all these people and animals have died for something we all could have done something about. While east coast is starting consequentially experiencing annually the wrath of hurricanes and extreme storms here in California we got something called Fire Season… It is unbelievable, you know it’s going to happen again every year and every time with more devastating effects. California’s once proud forests are slowly turning out to its neighboring state Nevada… A Marsian looking desert. Forests are more than just nature’s lunges… They protect us from landslides, they improve home living from high summer temperatures and people who suffer from medical conditions end up living close to those areas to ride out California’s extreme summer heat, they provide us with knowledge, they improve local businesses and trade by bringing over tourists and campers, they host threatened from extinction animals and insects and many other things. Let us hope 2019 will be more hopeful with less fires and nature disasters against our natural monuments and our homes. This entry was posted in News, Reviews and tagged awareness, California, Carr Fire, Climate Change, Natural Disaster, Shasta Fires. For my 40th birthday my wife took me to the Lick Observatory. It was in my to-do list a very long time but we never found the right time to just go and visit it. It is resided just 3 hours from where we live, but the road there is very curvy. Lick Observatory was built 1887 on the top of mountain Hamilton facing San Jose with a breath taking beautiful view. The name of the observatory was in honor of James Lick who founded the building of the the world’s first mountain-top observatory accompanied by the time the world’s largest refractor (lens) telescope. We had a great time and the observatory is family-friendly. We had the luck to arrive 10 minutes before a guided tour was about to begin. Normally the observatory isn’t open for visits, but around this time of the year they open to public. Much of its funding is done through the gift shop, so if you drop by that’s a great place to make donation to keep the free guided tours alive. There are many discoveries that have been made by the Lick Observatory, such as the distinction of the several different rings on Saturn, played a key-role in Einstein’s general theory of relativity, the expansion of universe, discovery of exoplanets, among many other successful research discoveries. Parts of the observatory are still used for science and research with the latest modern equipment. There are other domes that house these aside the infamous Lick telescope dome that occupies the highest point. At the bottom of their 36-inches Lick telescope is James Lick buried right at its base. I recommend people visit this historically important observatory. There are so many things to look at and read about hanging at its walls and at the exhibition area, such as fragments of meteorites, old generation CCD sensors and cameras and log books from astronomers in the past. This entry was posted in Astrophotography, Reviews and tagged California, James Edward Keeler, James Lick, Lick Observatory, Mountain Hamilton, San Jose. I wrote a tutorial for updating the firmware on a Sky-Watcher SynGuider. If you have more questions or feedback please feel free to get in touch with me. I hope this comes to use and helps out people to understand the steps needed for the updates. 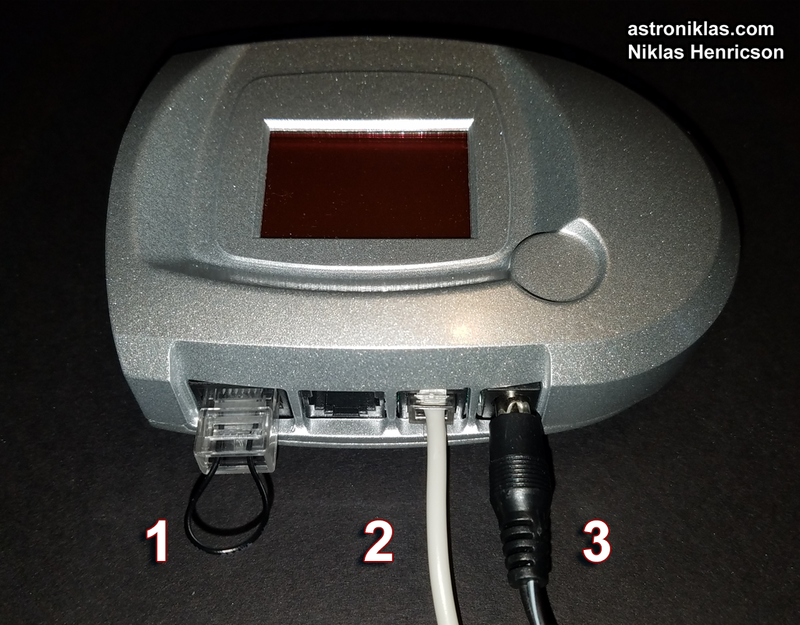 This entry was posted in Astrophotography, Reviews and tagged Firmware, Flash Utility, Phillips LPC2000, Sky-Watcher, Synguider, Tutorial, Update, USB to serial. I must say this was one of the best gifts I got for my birthday by my wife. It is a Condition 1 – Airtight/Watertight Case #839 with Foam. I absolutely needed one for my EQ6 Pro mount! For years I’ve been transporting and wrapping this mount in bed sheets and thick bed covers to provide safe transportation to and from my observation sites. The mount was also transferred by sea all the way from Sweden intact. I had to pay lots for insurance so that all optics could be replaced if something happened. This is a-must-have if you don’t know how to provide a safe casing for your telescope mounts that are originally shipped inside cardboard boxes from vendors. My wife got this case from Amazon for just $93.60 ($103.37 if you’re not an Amazon Prime customer). Needless to say, this is just as nice as a Pelican case without the Pelican price. A real Pelican case would cost nearly double the price $176.28 for an equivalent type of case. The interior dimensions for the Condition 1 case are, 21.91 x 16.96 x 8.41 inches. So a big thank you goes to wifey for being very thoughtful about my hobby! This entry was posted in Astrophotography, Evaluation, Reviews and tagged airtight, case, casing, Condition 1, EQ6 Pro, Niklas Henricson, optics, Pelican, Skywatcher, telescope mount, telescope protection, telescope storage, watertight. Due to solar eclipse event this summer and for those of you who decide to visit US, make sure you look into prepaid – no service SIM cards when you arrive. Unfortunately there’s no guarantee your european cell phone plan will be as cheap as it’s at your home. I’ve experienced personally issues when I was visiting my wife several times in the past. US phone network providers like to charge a little bit extra, causing issues once you get back home to discover a 400 – 700 USD bill at your doorstep. This entry was posted in Astrophotography, Evaluation, Reviews and tagged American Solar Eclipse, Coverage, European Cell Phone, LTE, Prepaid Plan, SIM Card, Solar Eclipse 2017, T-mobile, Vacations.